School shoes for me are the most important part of a child’s school uniform. Imagine yourself walking around all day, climbing, running etc. in a pair of shoes that weren’t the right size, rubbed or nipped you would never want to wear them again. 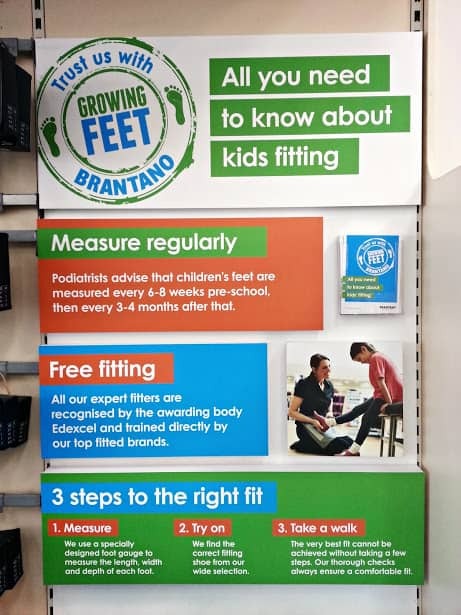 Brantano share my thoughts on the importance of getting children’s feet measured regularly and most importantly correctly. 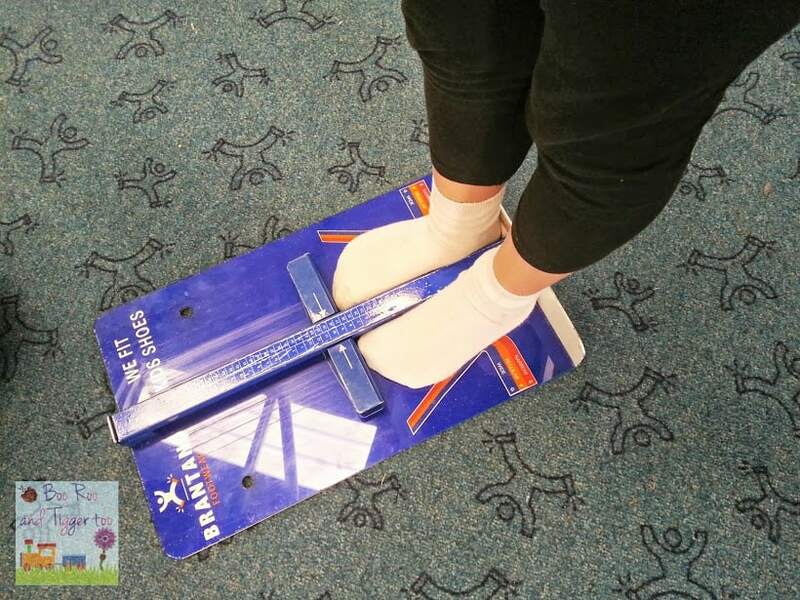 Did you know that children with feet up to a size 9 should have their feet measured every 6-8 weeks and those over a size 9 every 3-4 months? I will hold my hands up and say that I don’t get Roo and Tigger’s feet measured that often but after a recent trip to Brantano I will certainly be getting them measured more often. So just before the end of the school holidays, myself, Roo and Tigger descended on out local Brantano store in Great Yarmouth. We were greeted by Darren who kindly explained their three step measuring program to us. As only Roo needed shoes Tigger made himself at home looking through the Thomas & Friends books available to buy (honestly it was difficult to get him away from them). After being shown to the where shoes in her size were we tried to reach a compromise between style and practicality. As we were looking for school shoes I wanted to try and get a good quality pair and suggested that we got some from either the Clarks or Hush Puppies range. Roo finally decided that she liked a pair with a bow on the front and purple insoles (why the colour inside matters I’m not sure but she was happy). Darren then asked Roo to come and sit down whilst he slipped them on to her feet to check the fit. 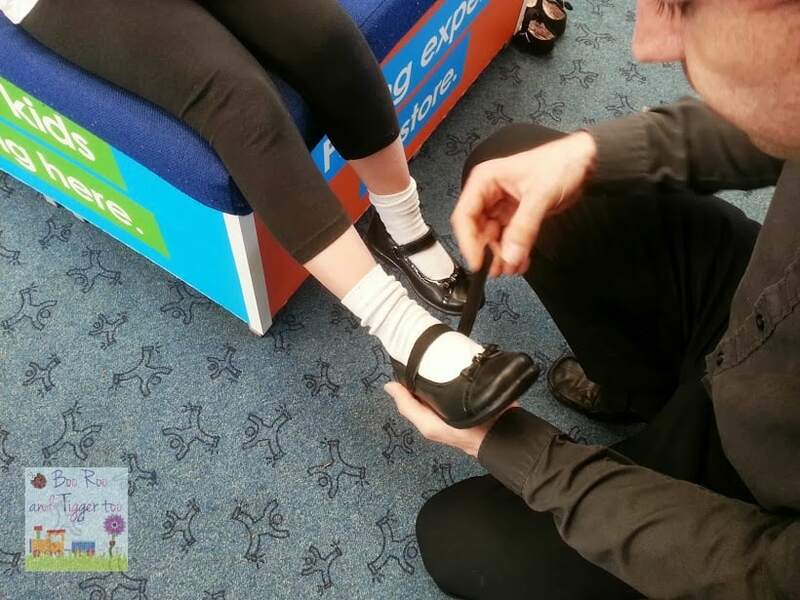 With a finger width space between her toes and the bridge of the shoes he explained that this would be a good style of shoe for her as it allows for the natural swelling of hot feet. The hook n loop fastening will enable her to get the shoes on and off easily and without having to ask for help. The proof is in the pudding so they say, so it stands to reason that you can only test shoes by taking a little walk in them. Darren went on step further (no pun intended) in asking her to jump up and down to check that they did not slip on her heels and that they felt comfortable. Happy with her shoes we said we would take them, it was then that Darren revealed a secret hidden underneath the purple insoles… a little doll called daisy and a microphone. Needless to say Roo was over the moon, although I do wonder how long they will last before she loses one.